We’re excited to welcome Funky Buddha to Harbor Humane for this community class of Cats on Mats! Tickets are $10, available through our Facebook page. Boatwerks is generously donating $3 from every specialty sangria sold in April back to Harbor Humane! Drink wine, rescue dogs! 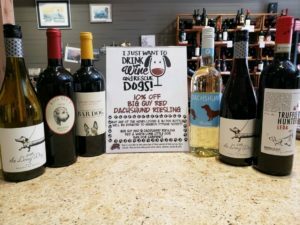 J-Dub’s is donating $1 back per every bottle of these dog-related wines sold in the month of April. 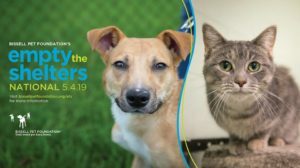 Join us May 4 to EMPTY THE SHELTERS! In partnership with the Bissell Pet Foundation, adoptable pets will be available for $25.